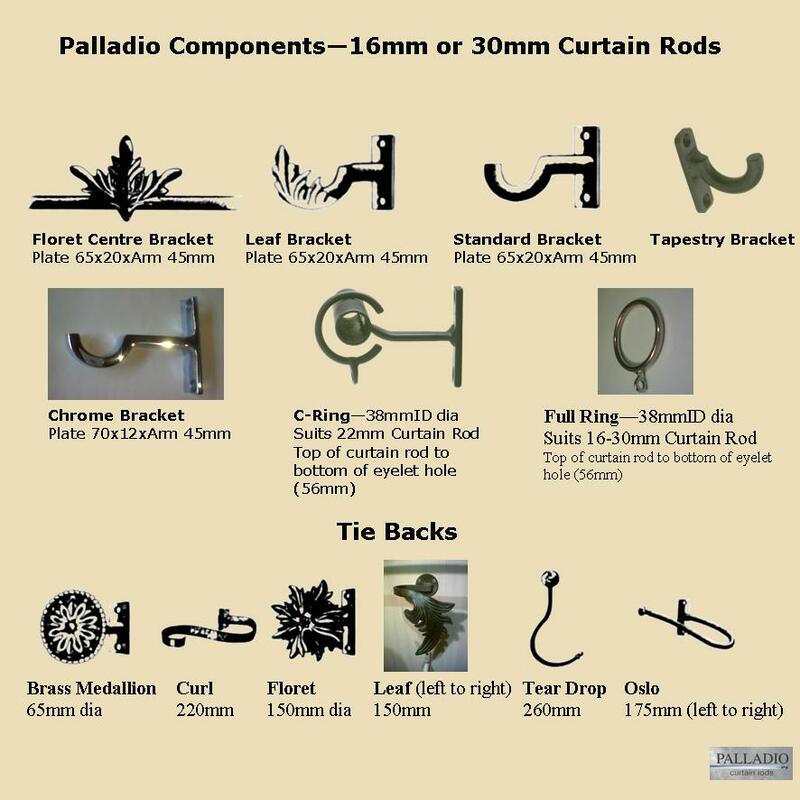 Palladio curtain rods stand out in luxurious living spaces. 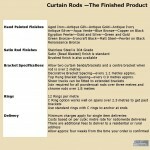 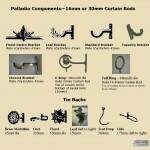 We have a wide range of curtain rod options. 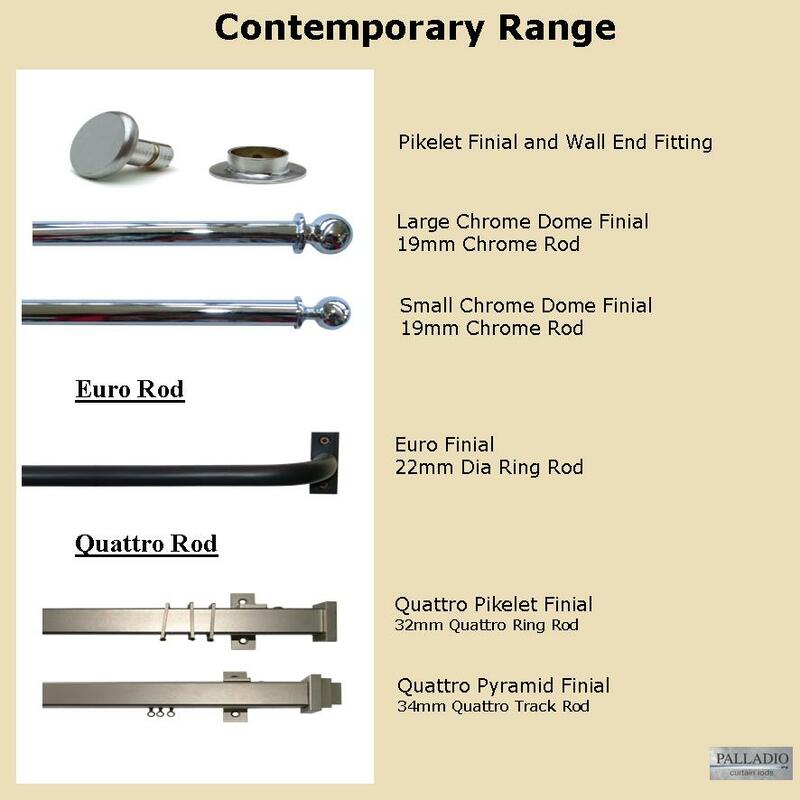 Track Rod is made with 38mm, 45mm or 50mm diameter steel. 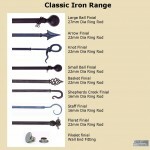 Wrought iron style curtain rods are available in many sizes from 16mm to 50mm diameter. 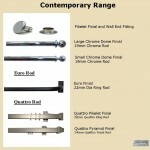 We have the ability to bend steel to make bends in curtain rods for areas such as bay windows. 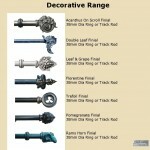 We are able to make steel spigots for joins in long lengths if required. To complement our curtain rods we have a large range of full curtain rings,c-rings, rod finials, curtain hold backs, and rod brackets – decorative, plain, top hung for track rod and c-ring brackets to allow c-rings to glide past. 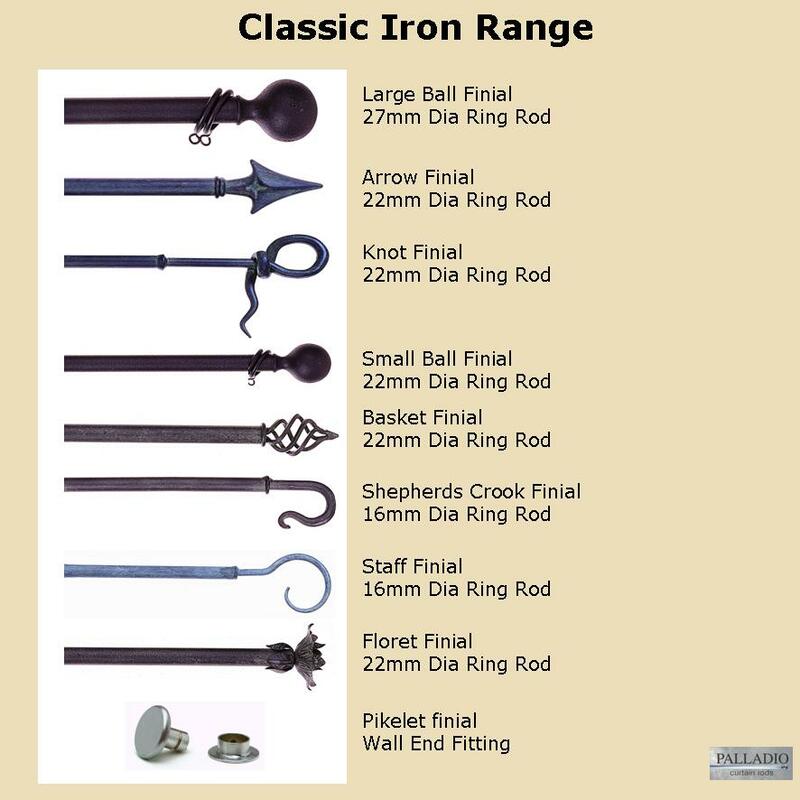 Wrought iron curtain rods can be finished in any one of our hand paint colours. 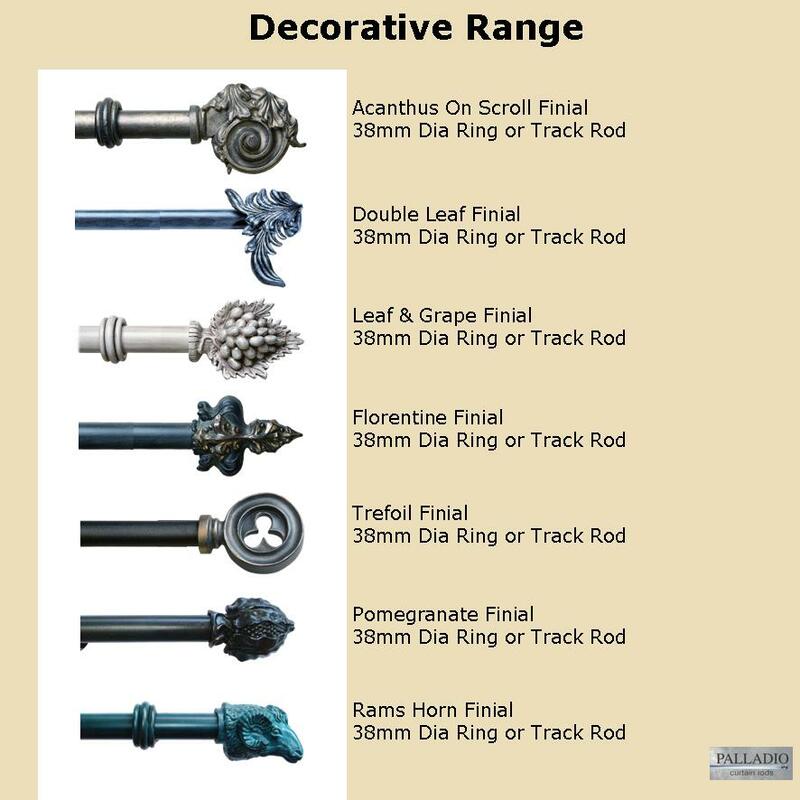 Curtain rods can also be chrome finished. 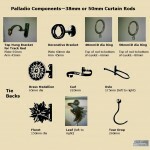 In addition, we manufacture curtain rods in stainless steel. 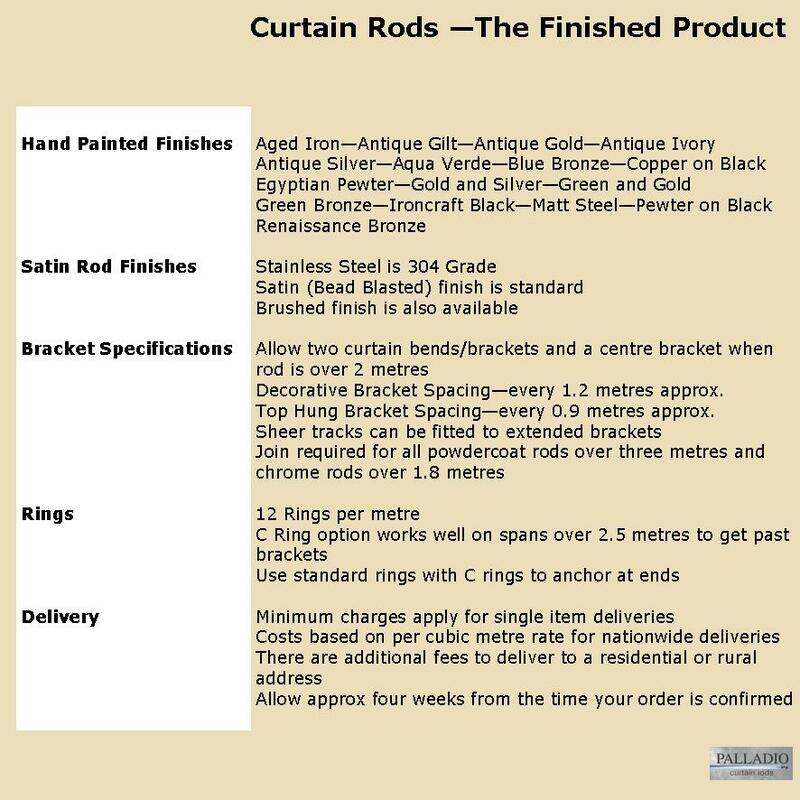 Whatever your requirements, we can create the perfect result for every curtain rod job.